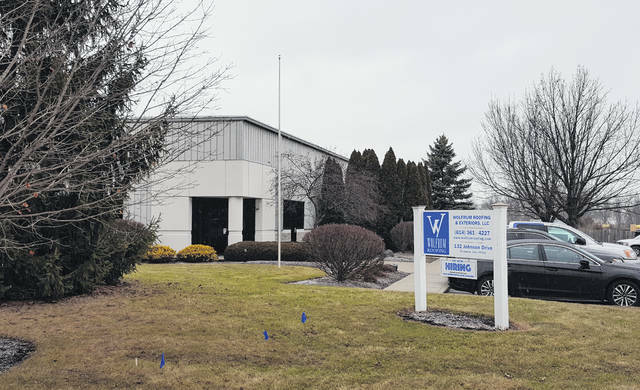 Delaware City Council has signed off on a Community Reinvestment Area (CRA) agreement with Wolfrum Roofing & Exteriors LLC that involves a 50 percent, 15-year tax abatement on the business’ planned $600,000 investment on its existing facility at 132 Johnson Dr., which includes an 8,000-square-foot addition. Named one of the fastest growing companies in central Ohio for the past two years by the Columbus Business Journal, Wolfrum Roofing & Exteriors LLC plans to continue to grow its business in Delaware. “I can’t express how fast we are growing,” said Marty Cline, vice president of internal operations. “When we moved to Delaware in 2012 there were three employees. Right now, we have 15 offices, and we have people doubled up in them. To help the company expand its footprint at its Delaware location, City Council last week approved a Community Reinvestment Area (CRA) agreement in which Wolfrum Roofing & Exteriors will receive a 50 percent, 15-year tax abatement on the company’s planned $600,000 investment that will improve the current 11,944-square-foot facility at 132 Johnson Dr. and add on an 8,000-square-foot expansion. “This is a company that’s really grown in our city,” said Economic Development Director Sean Hughes, who said the expansion will create five new full-time positions with an approximate combined payroll of $400,000. Hughes said under the CRA agreement, the company will retain its current 55 full-time employees and save about $92,000 over the 15-year period. “This would approximate a 50.77 percent return on investment for the city,” he said. Cline said the plan is for the company to break ground on the expansion as soon as the weather breaks. Council took the first step toward the annexation of the Wilgus property — 89.6 acres of land located south of Airport Road, east of South Section Line Road, and west of Innovation Court in the city’s southwest quadrant — by passing a resolution indicating the services (water, sanitary sewer, fire, police, etc.) that will be provided by the city upon annexation. City Manager R. Thomas Homan said when looking at the planned future extension of Sawmill Parkway from its current terminus to South Section Line Road, the potential development of the Wilgus property is important to the project since the extension would run right along the property.